Starting Friday, Coachella kicks off summer concert season with the first of two weekends of music, art, and frolic. This year, we're taking inspiration from spring 2012 runway shows like Rag + Bone and DSquared2 (both cited music festivals as an influence) to round up some long lasting, desert-friendly finds to pack for a weekend in the valley. Leave those bulky palettes at home; this three-in-one lip, eye and cheek color has got you covered from day to night. Nars The Multiple in G Spot, $39. 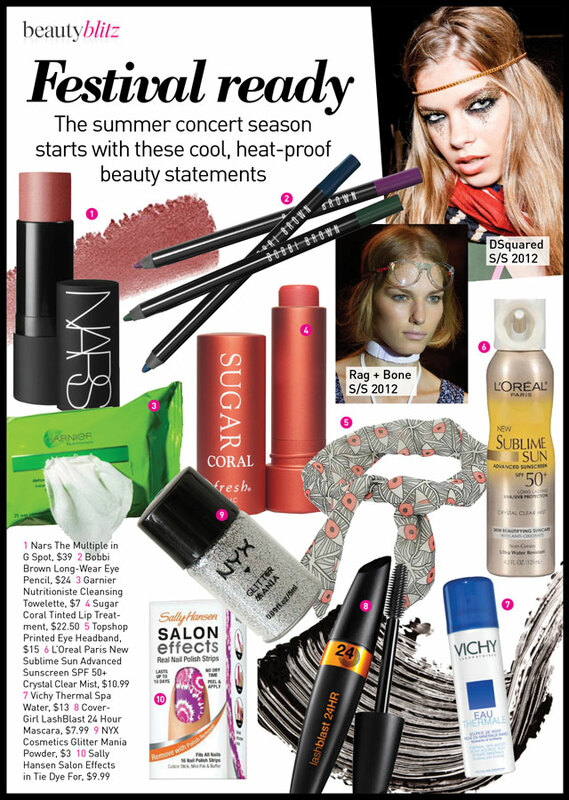 Because when you're rocking out to your favorite band, there's no time for touch-ups. Bobbi Brown Long-Wear Eye Pencil, $24. Stay fresh from head to toe, even when there’s no sink in sight. Garnier Nutritioniste Cleansing Towelette, $7. SPF 15, nourishing vitamins and a hint of coral tint? We can't think of a better way to dress up your pout. 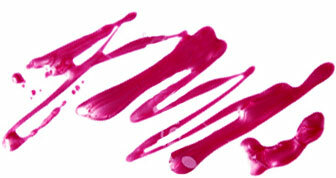 Fresh Sugar Coral Tinted Lip Treatment, $22.50. A quirky, printed headband is a summer staple and keeps messy bangs under wraps. Topshop Printed Eye headband, $15 at Topshop stores. 6. Duh: don’t forget your broad-spectrum protection. You’ll be in the sun all day! L'oreal Paris Sublime Sun Advanced Sunscreen SPF 50+ Crystal Clear Mist, $10.99. Cool your skin between sets with this mineral- and antioxidant-rich spray water. Vichy Thermal Spa Water, $13. This long-lasting mascara means no raccoon eyes. CoverGirl LashBlast 24 Hour Mascara, $7.99. We dare you to channel DSquared2 Spring 2012 with some major glittery eyes. NYX Cosmetics Glitter Mania Powder, $3. These tie dye print polish strips are a perfect match for short shorts and flowy tanks. Sally Hansen Salon Effects in Tie Dye For, $9.99.